Accounting Certification Exam Prep Discounts: Use Our Coupons to Save! I have an announcement: If you’re planning to pursue an accounting certification, such as the CPA, CIA, CMA, CISA, CFA, or EA, you will need to pass an exam. So (as you probably know), to land the Certified Public Accountant (CPA) license, you must complete the CPA Exam. To become a Certified Management Accountant (CMA), you have to pass the CMA exam. To secure the Certified Internal Auditor (CIA) certification, you need to finish the CIA exam. To merit the Certified Information Systems Auditor (CISA), you must excel on the CISA exam. To receive the Chartered Financial Analyst (CFA), you've got to get through the CFA exam. And, to earn the enrolled agent (EA) designation, you’re required to take the EA exam. Moreover, the exams associated with these certifications can be very challenging. While the pass rates for the EA exam average 69%, the CPA Exam pass rates, the CFA exam pass rates, and CISA exam pass rates each hover around 50%. However, the CIA exam pass rates and the CMA exam pass rates are closer to 40%. Therefore, the best way to prepare for these exams is with a review course. Many of the most popular review courses on the market for these exams give you everything you need to pass. These courses can be very comprehensive, but they can also be a bit pricey. Thankfully, I have discounts you can use to save on study materials for these exams. My accounting certification exam prep discounts will help you get the best deal on the best review course for you. Learn more about all the discounts I have for each of these accounting certification exams so you can save big today! These discounts apply to the best CPA review courses on the market. Use them to save big on your CPA Exam prep! ​​Varies; all products on sale! ​Discount applies to ​​​the best-selling Wiley Platinum Course on ​the Wiley CPAexcel website! PLUS, everything else is on sale too! Discount only works on single sections of the test bank. You can also get an automatic discount by downloading the course through this page. Get my take on Wiley CPAexcel. This offer may not be combined with other coupon codes or discounts. ​2​5% discount applies to ​individual sections of the Premium package​. Also, save 20% on the 4-part set. (^ Click this button and the discounted price will automatically appear in the cart). Just click this link -- no code needed! (You'll see the discounted price in the cart). Discount applies to the Gleim Premium CPA Review ​4-part course (AUD, BEC, FAR, or REG). Get the Gleim ​Premium CPA Review Discount! Get my take on Gleim CPA Review. Applies to the four section Elite course package. Get my take on Roger CPA Review. Get the Becker CPA Review Discount! Get my take on Becker CPA Review. ​All Surgent CPA Courses on sale! Get my take on Surgent CPA Review. Get my take on NINJA CPA Review. Discount only works on the complete 4-part course. ^ Click this button to save big! This discount is valid until further notice. Get my take on Yaeger CPA Review. Discount only works on the complete 4-part online course. This discount is an exclusive, limited-time offer. Get my take on MDS CPA Review. You can't combine this offer with any other coupons codes or discounts. These discounts assist candidates in purchasing the best CMA review courses on the market. Use them to stick to your CMA exam prep budget! Here's where you can also find even more CMA review discounts. ​.You have to click this button to save! Get my take on Wiley CMAexcel Review. Discount applies to the two-part Premium package. Here's where you can get all the Gleim CMA discounts. Just click this link -- you don't need a code! Get my take on Gleim CMA Review. This discount works on all CMA Exam Academy review courses. Get my take on CMA Exam Academy. To save 15% on both the IMA membership fee and the CMA entrance fee, just enter the code at checkout! ​Get my take on Surgent CMA Review. Just use this link to save: no code needed! This discount only works on the Complete CMA Coaching Course Part 1. Just click this button to save -- you don't need a code! Get my take on Gleim CMA Rev​​iew. This discount only works on the Complete CMA Coaching Course Part 2. These discounts correspond with the best CIA review courses​ on the market. Use them to secure major CIA exam prep savings! ​Bonus: You'll find even more CIA review discounts on our CIA site. This discount ​works for ​three-part Premium package. ​Here are even more Gleim CIA Review discounts​. Just use this link to save - no code necessary! Get my take on Gleim CIA Review. Get my take on Wiley CIA Review. Get my take on Surgent CIA Review. ​No discount available; click for more inforamtion. Get the Gleim ​Traditional CIA Review! Just click this link to save -- the discount auto applies! ​Save 10% on the 3-part bundle of the Gleim book and test bank. Just click this link: you don't need a code! You'll see the discounted price in the cart. These discounts go with the best enrolled agent review courses on the market. Use them to get a good price on your EA exam prep! Plus, you can always find all the best enrolled agent discounts on our EA site. (Part 1, 2, and 3 bundle​.) Here's where you can find all our best Gleim EA Review discounts. Get the Gleim EA Review Discount! Just this link to get the Gleim EA discount -- you don't need a code! The discount price will appear in your cart. Get my take on Gleim EA Review. 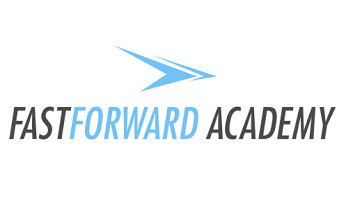 Get the Fast Forward Academy EA Review Discount! To use the discount, you have to click this link. Get my take on Fast Forward EA Review. This EA promo code applies to all Surgent EA products! Save on Surgent with code IPASSEA15! Get my take on Surgent EA Review. Just click this link -- no code is necessary. You'll see the Gleim EA discounted price in the cart. You must click this link to save! You don't need a code to save: The discount automatically appears in your cart! To save on Gleim EA Review, you just need this link! You'll see the discounted price in your cart. To save, just use this link! This link is the only thing you need to save -- no code is necessary! These discounts work with the best CISA review courses on the market. Use them to get a great deal on your CISA exam prep! Get my take on SuperReview. Get my take on Simplilearn. Get my take on Surgent CISA Review. These discounts offer great savings on the best CFA review courses on the market. Use them to score a spectacular price on your CFA exam prep!